Birthday parties can be a child’s dream come true and a parent’s worst nightmare. The stress of planning and hosting a party can be a lot for a parent, especially with today’s demanding schedules. The key to pulling off successful parties at your skating center time and time again is all about making it easy for everyone involved. 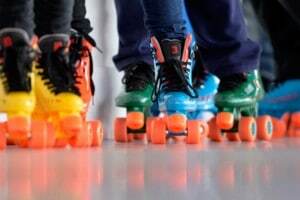 Check out these helpful tips for hosting birthday parties at your roller skating center and increase your business! Making the planning process easy for the parents starts with easy-to-understand party packages that lay out exactly what can be expected from your venue. Are skates included? How many kids are included in the advertised price? Is set-up and clean-up included? How much will it cost? Including multiple packages with varying price points and perks creates options, and options make everything easier! Parents can quickly find the package that seems right for them so they know right off the bat what they can expect from you as a party host. No birthday party is complete without goodie bags stuffed with all sorts of cool novelties and some awesome prizes to give out during skating games. At Southeastern Skate Supply, we stock hundreds of popular novelty gifts that are fun and affordable. At Southeastern Skate Supply, we can hook you up with everything you need to draw in patrons and host memorable birthday parties. From fidget spinners to sunglasses and so much more, we are ready to ship as soon as you place your order. Give us a call to find out more about our pricing and inventory today!